Rice stem rot is an increasingly serious disease affecting rice crops. In recent years, crop losses of up to 25% have been reported in commercial rice fields in California. As yield losses continue to rise from stem rot in rice, new studies are being conducted to find effective methods of rice stem rot control and treatment. Continue reading to learn what causes rice stem rot, as well as suggestions for treating rice stem rot in the garden. What is Stem Rot in Rice? 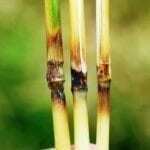 Rice stem rot is a fungal disease of rice plants caused by the pathogen Sclerotium oryzae. This disease affects water sown rice plants and usually becomes noticeable in the early tillering stage. Symptoms begin as small, rectangular black lesions on the leaf sheaths at the water line of flooded rice fields. As the disease progresses, the lesions spread over the leaf shield, eventually causing it to rot and slough off. By this point, the disease has infected the culm and little black sclerotia may be visible. Though the symptoms of rice with stem rot may seem purely cosmetic, the disease can reduce crop yields, including rice grown in home gardens. 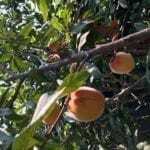 Infected plants may produce poorer quality grain and low yields. Infected plants usually produce small, stunted panicles. When a rice plant is infected early in the season, it may not produce panicles or grain at all. Rice stem rot fungus overwinters on rice plant debris. In the spring, when rice fields are flooded, the dormant sclerotia float to the surface, where they infect young plant tissues. The most effective rice stem rot control method is thorough removal of rice plant debris from fields after harvest. It is then recommended that this debris be burned. 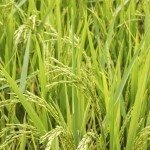 Crop rotation can also help control incidents of rice stem rot. There are also some varieties of rice plants that show promising resistance to this disease. Rice stem rot is also corrected by lowering nitrogen use. 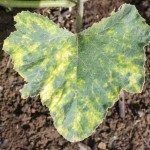 The disease is most prevalent in fields with high nitrogen and low potassium. Balancing these nutrient levels can help strengthen rice plants against this disease. There are also some effective preventative fungicides for treating rice stem rot, but they are most effective when used with other control methods.